Hey everybody! There’s this new amusement park in Tokyo, Japan! It’s so cool, cause the main attractions are prison inmates!! It’s so freaking awesome!! 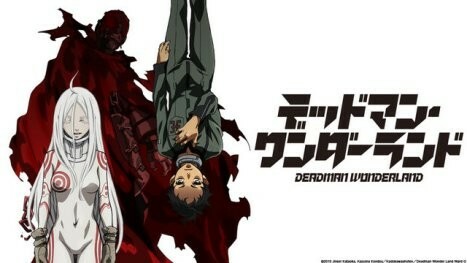 Who wants to go to Deadman Wonderland with me?!? Deadman Wonderland is an Action/Horror anime based on the manga by Jinsei Kataoka and published by Kadokawa Shoten. Tokyopop licensed the series in America, but the series hasn’t been relicensed since the company closed its doors back in 2011. Director Koichiro Hatsumi and Studio Manglobe (Samurai Champloo, The World Only God Knows) are responsible for the anime, with 12 episodes total and originally running in the spring of 2011. FUNimation has picked up the license for the series and is to be released some time this year, along with [C]. An additional OVA episode, set two years after the Red Hole incident, was released last October. 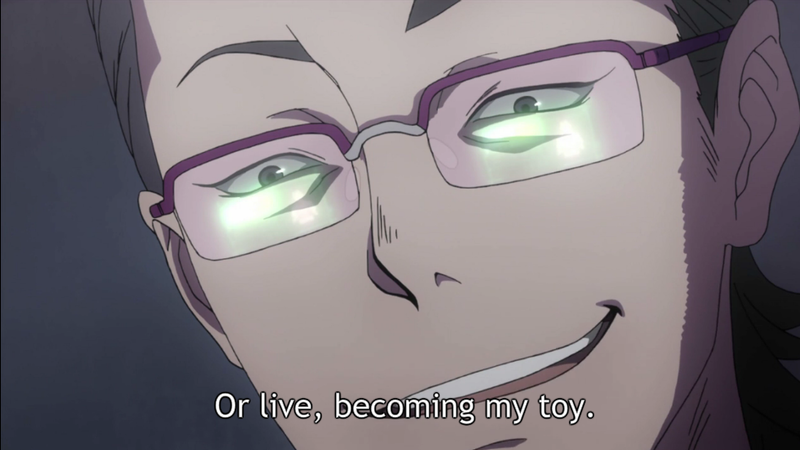 One day, fourteen year old, Ganta Igarashi was sitting in class when a mysterious man in red begins floating outside their third story window. He destroys the classroom, killing everyone inside, leaving only Ganta as the sole survivor. 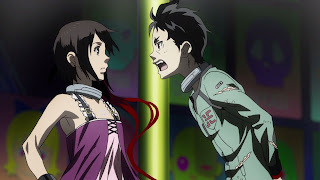 After implanting some sort of power into him, Ganta soon finds himself under arrest for the murder of his fellow classmates. 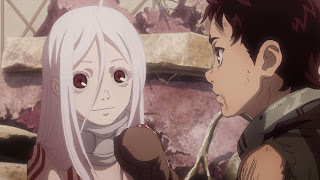 Unable to prove his innocence, he is sentenced to death and sent on his way to Deadman Wonderland; a privately owned and operated prison, where the inmates are the main attraction in the amusement park built there (Deadman Wonderland is both a prison and fun park!) After meeting a young girl, named Shiro, Ganta is now determined to prove his innocence as well as find the man in red and take him down for good. For an animation company that doesn’t have a whole lot of titles under their belt, they sure had fun with this one. Manglobe took a lot of time and effort into this series, even while they were continuing the second season of The World God Only Knows. The entire series, from beginning to end, is really dark, (despite the contrast with the fun park themes throughout) with sharp character design and very fluid and amazing fights scenes. The music used is also dark, even using more hard rock for the opening theme (don’t skip opening theme EVER! ), which is one of the few times I’ve ever seen harder rock, plus competent English lyrics, for an opening theme. This story.... Makes me mad. So very VERY mad... Why does it make me mad? Because it rushes through three different plots and they try their best to mash them into 12 episodes, and it doesn’t do a very good job! Normally, I don’t get irritated about this because most 12-13 episode animes don’t have three plots or they make better transitions into the next plot line. 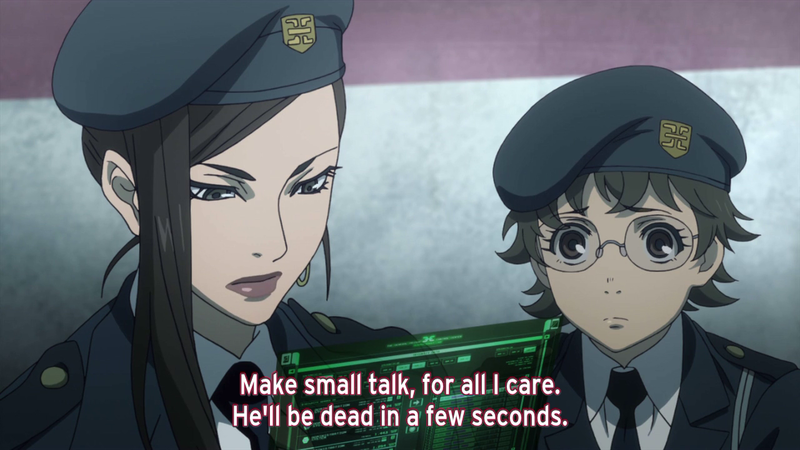 Deadman Wonderland just fails. It jumps into the new plot headfirst and hopes you will catch on and follow it. I understand this series is supposed to be rather fast paced, but you DO NOT jump plot lines constantly, without explanation, or closure of the previous one. That is not how good storytelling works! If this were going to last more than 12 episodes, you would be given more time to explore each plot a bit better. But, hey, there’s not much word about a second season either. By the way, speaking of season two, there better be one; cause there are A LOT of questions left unanswered here. How the story treats the characters... Makes me mad. So very VERY mad... Why is this? The focal point of supporting cast is extremely lacking. You have Ganta and Shiro as your leads, while Tamaki as your main villain. That is made clear from the start. As for the rest of a supporting cast, it’s completely jumbled. Just like the story, the supporting cast switches whenever there is a new plot line coming through. For the first plot line there’s only Yoh, Makina, and Rei. For the second plot line, the previous three are still there, but then you’re introduced to Senji and Minatsuki and are suddenly more focused on them. As for plot line number three, you suddenly have a slue of supporting cast members, and you have no idea what to do with them! Not only that, but by this time, the previous supporting cast members have disappeared, only to return for a very short time in the final three episodes. 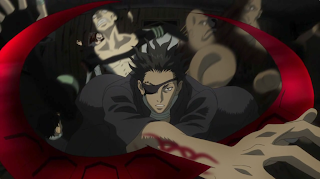 If it were up to me, the focal point for a supporting cast would be Yoh, Senji, Minatsuki, and Makina. That’s it. It’s fine to add more characters, but please give me more of these guys, cause they make things so much more interesting! Keep in mind, these aren’t all the characters, but I just picked the real fun ones I would love to see. Who knew finding a good voice actor to play a 14 year old boy would be so damn hard? Leave suggestions in the comment section below for me? There really isn’t much more to say about this series. The only real big word I have to describe it is disappointing (*Hasteaguy pops up* Hey! That was my word!). It had so much going for it, but the problems I have with this series makes me very upset. Don’t get me wrong, it’s a very fun series to watch and it’s one of the few dark anime from the 2011 season, but the plot holes and lack of a definitive conclusion (which even Highschool of the Dead had the good decency to do) really bring the entire value of the series down. Unless it’s given a second season, and they tie up all their loose ends, this series is only as good as its story, and its story is a mess. If you just want something fun to watch, go right ahead. If you want a story that ends well, skip it.... Unless there comes a second season and everything is solved. 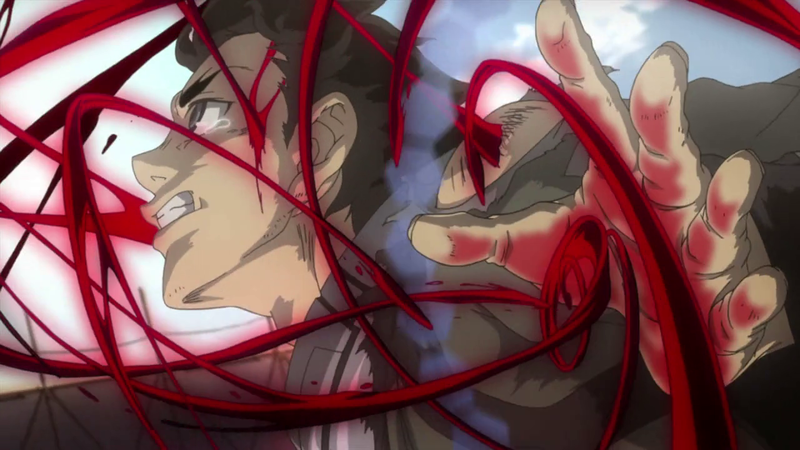 If you want something more solid but badass, then High School of the Dead is where you show look. It's fan serviced like nuts, but it's story is compelling enough to keep interest. Hm. Between this and Yerocha's review of the manga, I think I'll give this one a miss... unless Burkion and I start running low on shows to review. 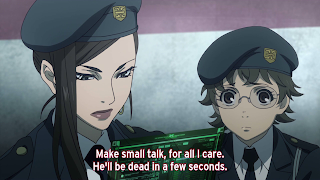 I love Deadman Wonderland, but I agree with you on it being rushed. It's a shame there aren't more episodes - I would love to see more!